It’s time for another edition of Dear ELK Studio. You asked the questions and our team of contributors have your answers. Be sure to leave your question at the bottom of the page in the area provided. If you’ve asked a question and don’t see it today, hang on because there is always next week. Enjoy today’s article! Do you have a basic pattern you use when teaching someone to read a pattern? I’ve taught several people the basic stitches, and I have a hard time teaching people to read a pattern. When teaching someone the basic stitches for crochet, I like them to also end up with a finished project. I begin with a scarf! The project can use the Foundation Chain, Sc, Hdc and Dc. I do 5 rows of each stitch until the desired length. This helps with the difference between stitches, turning, starting in the correct stitch, and beginning chains and tension problems. Here is a link to a Houndstooth scarf which uses the basic stitches of single and double crochet. It looks complex but simple to do. You should also teach the person the abbreviations as you go along for them to get a good understand of reading the pattern. I’m getting ready to start projects for Christmas and would like some new ideas for craft shows and festivals. When choosing projects to sell at craft fairs and markets it’s important to keep your target market in mind. Here are some links for inspiration. I’ve seen some cute lovey projects. Do you know of any tutorials? Instead of giving you just one or two, Keeping Busy has provided you with several different lovey projects! Thanks Anabelle! I want to make a hat with stripes but hate the way my join looks, can you help me? Sometimes knowing the technique to use when changing colors can be confusing. KT and the Squid and Cre8tion Crochet offer a different technique that may help you on the next project. Good luck! What is the best stitch to use for a washcloth project? The best stitches to use for a washcloth would be any stitch that gives the project texture. You can combine a single crochet followed by a double crochet and continue in that sequence to give great texture, or here is a pattern by Petals to Picots, as she has a beautiful washcloth pattern. Do you have a crochet question? We’d love to hear it. Leave your comments in the space provided below. I am a beginner and wonder where I can find great crochet patterns? 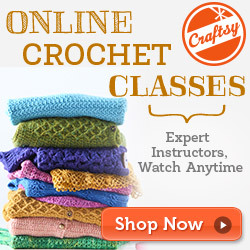 There are many fantastic sites you can visit online for crochet patterns. If I had to choose one I would recommend Ravelry. Ravelry has a variety of fabulous crochet patterns by many different designers. You can spend hours there browsing! You do have to register for an account but no worries because it’s free. . For some other crochet pattern resources you can take a look at this blog post by Oombawaka Design and for free patterns here’s another link also by Oombawaka Design. If you were making a hat, would you use the sc, hdc or dc? A single crochet hat will have a denser texture and depending upon the yarn you use will sometimes look knit. It will take longer too, but will probably be warmer and a bit more structured. Double crochet will work up very fast as you can cover much ground in fewer stitches. It will give a softer fabric, with less structure. It lends itself well as a base to many decorative stitches and textures, such as front and back post double crochets, X stitches, puffy stitches, etc. My favorite is the half double crochet. I just like the way it looks and it is so quick to stitch. It creates a semi dense fabric and lends itself as a base for many decorative stitches. Just about the only negative to this stitch is that it will lean right so when working in the round your seam will generally go on a diagonal, but of course there are ways around this. What social media sites do you think are important as a crochet designer? There are so many social media sites available for the upcoming designer. Facebook, Twitter, Pinterest and Google + are a few and maybe the most popular but some other great sites are Sulia, Tribber, Scoop it, and Stumble Upon. My advice for you is which ever sites you choose just set a consistent schedule. Building a following is tough work and consistency is crucial. Another point to consider is that how you interact on Facebook isn’t necessarily how you interact on Pinterest or even Twitter. Each site can attract totally different crowds. How do I start writing my own patterns? I wanted to give you a great answer, so I asked Kim Guzman and Tamara (Moogly) how they started. Kim said that she is self-taught and learned by reading and studying other patterns. Once she submitted a pattern, she would study the changes made by a technical editor. She gave this link by Crochet Insider as maybe a place to start. Do you have a crochet or business related question? Leave a comment in the space provided below! I hope you have a great day! Be blessed. Crocheting seems to be gaining in popularity again. So why can’t I seem to find new or even classic patterns for men’s fashions aside from hats and scarves? There are many wonderful crochet patterns for men. All Free Crafts has over 100 different links of sweaters, slippers, ties, hat, etc. I hope you find something here you can use! Is there a tutorial on the extended single crochet stitch? I love using extended stitches in crochet – Moogly demonstrates the extended single crochet stitch in this video tutorial. I’ve seen the wrap around stitches but not sure I can make them on my own since I’m a beginner. Is there a video or tutorial? I love the wrap around stitch and no worries about being a beginner. We have found a great tutorial for you by Moogly. I love the Catherine Wheel stitch and want to make scarves and thread crochet headbands using stitch. But I cannot find pattern or video that explains Catherine Wheel stitch. Do you have any suggestions? The Catherine Wheel Stitch is a PRETTY stitch and not that difficult to master over time and practice! Here is a great video tutorial by The Crochet Crowd that will help you. I made an afghan from a pattern I found on Ravelry. I put a border around it but the sides are rippling. I understand a smaller hook may get rid of the ripples. It was all a single crochet stitch. If I use a smaller hook on the sides, will I need to switch to the size I used for the main part of the afghan on the bottom and top rows? I really don’t want to try it and have to rip it out again so suggestions would be appreciated thank you. First, determine the width and how many stitches fit nicely into the width (usually the bottom and top of the afghan). Next, divide the number of stitches by the measurement to determine stitches per inch. Take the height of the afghan and multiply it by the stitches per inch to determine how many stitches should fit there. Fold the afghan in half to determine the center of each side and place a marker. Fold it again to find the centers of the centers. Continue placing markers evenly along the sides like that until you have several different sections. Now, take the number of stitches that should be along the edges and divide it by the number of sections you have. It’s a lot easier to fill a small space with a designated number of stitches than a large space. If any of that seems overwhelming to you, here’s a video tutorial by Yarn Obsession that may help you too. Do you have a Dear ELK Studio question? Leave it below in the space provided! Is acrylic yarn safe to use for potholders/oven mitts? It is best to use natural fibers (i.e. cotton) for potholders/oven mitts. Acrylic yarn is basically a type of manufactured plastic – it has a melting point and it is not recommended for use in crocheted potholders/oven mitts. For more information about acrylic yarn you can read this post. I see so many crochet diagram patterns now. I’ve been crocheting a long time and I have found the stitch symbols, but I really need a tutorial (or 20) that will let me learn how to follow, increase or decrease for clothing, etc. Do you have any ideas for links or do you have a tutorial? Recently “Crochet Me” magazine had an on-line class that can teach you how to learn to read crochet. You can possibly find more information from this wonderful website. I have recently started crocheting and I want my stitches tighter. The spaces in a granny square where I am supposed to DC 3 are so large. It makes the piece look very sloppy. I suspect it is tension (I am an overhand crocheter) – what do you think? Tension is probably one of the most important lessons to master in crocheting and can sometimes be the most frustrating. Keep at it and don’t give up. Over time you will begin to see improvement. Here’s a blog post from The Yarn Box that can explain the importance of tension. When I crochet a circle it tends to curl. How can I make it lay flat? I don’t block so I think it is the way I crochet. You will need to ensure you have the proper stitch count to eliminate the curl. As you increase each round, there is a standard number of increases per round. For example, if you start with 12 stitches on round 1, round 2 will be 24, round 3 is 36, etc. I also tend to think that maybe tension can play a role if you crochet “tight”. I am having trouble with the magic circle. Can you help me? Moogly has a great tutorial video for the right-handed person and here’s one if you are a lefty. Do you have a question for Dear ELK Studio Crochet Column? If so, ask in the contact form provided below. We would love to help you! How do I switch colors in the middle of a row? We often want to change colors either for a specific pattern like a graph or just to brighten something up! The important thing to remember with a neat color change is to think ahead! You actually need to start your color change in the stitch BEFORE your actual color change. Moogly has a great video as well as written instructions. I want to start a blog but not sure where to start. Any suggestions? There are many resources you can use to start your blog. 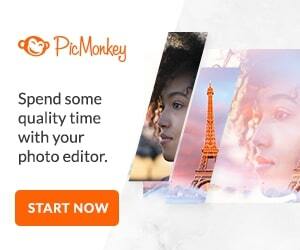 You can get started very quickly with Blogger.com or WordPress.com. They will walk you through the steps of setting up your website and blog. The more difficult part is to figure out a vision and content for your blog. I would spend some time designing a plan for the blog. What do you want the focus to be? Who is your target audience? How often will you blog? Will you share topics that are personal, business or a combination? I would also start writing a few blogs so that you have a library to get started, this way you won’t scramble and stress for content. Oombawaka Designs has some great tips on her blog that may help too. I am making large granny square blankets and can’t figure out how to add a color to the next row without the knot being seen. How do I add the color without tied ends of yarn showing? Have I got a method for you. It is something I learned many years ago from my Grandmother and recently found in a video tutorial. Once you master the method in the video, you will be hooked. It will take a bit of practice, but the result is amazing. I recently lost the use of my arm to a stroke. I am desperate to find tools and methods to continue my knitting and crochet. My dominate hand was affected (right) If there are cross stitching tools and methods, that would be wonderful as well. While it is necessary to learn some new skills and will take some practice, it is possible to both knit and crochet with one hand. Here is a blog post by Crochet with Dee that you may find interesting, and an article by Charlotte Gerber. When your pattern says crochet so many times between the*, do they count the one you just did or is it plus that one? For most patterns, you do the stitch sequence first then repeat the sequence for the designated times between the symbols. Occasionally some designers will have the total number of repeats all included in the number between the symbols, Most patterns have the total number of stitches at the end of each row and this will help when you are unsure of the pattern language. I want to learn how to master the foundation double crochet stitch. Do you have a tutorial? It’s a good idea to view several videos to see if there are any differences in how the stitch is done, and you may prefer one method over another. For example, you’ll see a couple of different ways to do a slip knot in the tutorials. The first video is by Moogly and is very clear, short and concise. Next up is Simple Crochet where the author goes very slowly, so you can see exactly what she’s doing. Lastly, Maggie Crochet has lots of detailed information on her video. I’m having trouble on decreasing shells. Do you have any tips? You can also view a video tutorial from The Art of Crochet by Teresa (Crochet Geek) for an example of how to decrease shell stitches. It may also help to know exactly what type of shell you are trying to decrease as we gave a generalized answer. Is it possible to crochet two items on one circular crochet hook, like socks or sleeve, as can be done with knitting? If yes, how? The short answer to your question is – No. It is not possible to crochet two items simultaneously on one circular crochet hook – from start to finish. Unlike knitting, crochet stitches do not remain on the hook for an entire project (even with Tunisian) – at some point all the stitches are removed from the hook to complete the stitches. I spent quite a bit of time researching your question as I was intrigued by the possibility – I often dread making the matching sock (or mitten)! I could not find anything online to help confirm the information, so I asked Kim Guzman, a Tunisian Crochet Expert. You can visit her site to learn more about circular crochet hooks and Tunisian Crochet. I have a friend that wants me to crochet a bathing suit for her. Can you tell me what kind of yarn to use & how much it would take? She wants to wear it in the water. After many articles and research before attempting to make a swimsuit, it seemed the consensus is to use mercerized cotton for your choice of yarn. I would suggest a #3 type thread, such as, Sinfonia yarn while using a F Hook so the stitching will be tight. The amount of material will depend on the size needed for your friend but the Sinfonia comes in 218 yards so probably more than one but less than two. Of course lining the suit and using elastic is another option also. In my opinion, a crochet bathing suit is more for sun bathing and not doing laps in the pool. From personal experience, I made a bathing suit top using Sinfonia and was very pleased with the results. It did not have any sagging as you may expect (but I did try it out in the privacy of my home first). I found this pattern that I want to make, but it does not say the amount of yarn needed. Is there a way I can figure this out before I start it? There are a couple of ways I go about figuring yardage out for a project when needed. If I am making a project that doesn’t have the details of yarn needed, I find a similar pattern online that does, and I estimate based on that! Another great way to calculate yardage is by using this great tutorial from dummies.com. It has great information for Knitting and Crocheting yarn calculations! Have a great day and be blessed! There are so many crochet hooks out there. How do I choose? I love my hooks and you are certainly right by saying there are so many out there! Recently there was an article written by Beatrice Ryan Designs for The Yarn Box addressing crochet hooks and everything you should know! Hope this helps. I hate the way my project looks when I finish them off. Is there a way to make the seam look smoother besides just making a knot? There are so many ways to finish your projects smoothly, so I think knots are rarely the answer. Here is the technique I recommend via You-Tube and another tutorial by Cre8tion Crochet. I am going to attempt a wedding ring crochet cover for our king size bed. I have six colors, besides white… Light and dark blues, purples and greens. And I found a beautiful variegated yarn for the connecting octagons. I am really struggling with a sequence or pattern for the colors. Is there a resource that could help me? Thanks so much! When it comes to choosing color patterns I think Whitney Otto, How to Make an American Quilt, said it best, “There are no rules you can follow. You have to go by instinct and you have to be brave.” But if you aren’t feeling brave, here is a post from Fresh Stitches and Granny Square Colors. I cannot get a beanie cap to turn out the way it should. I follow directions but it seems the hat gets smaller instead of larger after completing a few rounds. What am I doing wrong? Hats that start from the crown generally work flat until the end of the increase rows, then as you build the sides they start to form into the traditional beanie shape. If you are having trouble with it starting to change shape while still in the increase phase, it may be that you are tightening your tension as you work and the hat starts to pull in. Also check that the pattern has the proper amount of increases, as an example if the first round in the hat has 10 stitches, generally you should have an increase of 10 stitches in each increase round. Why does my crochet hat always “stretch” after washing and drying? You may try hand washing your handmade items or wash them in a lingerie bag on delicate cycle and lay the item flat to dry. This insures the item is not stretched out of shape by the harsh action of the washing machine or shrunk by the extreme heat of the dryer. If it seems ALL of your projects are looser than ideal still… You may need to tighten up your tension. It’s time for another great week of Dear ELK Studio – A Crochet Column! It’s filled with lots of yummy details you (the crocheter) can tuck away for future reference! There are a few links from other great designers who have already been where you are and want to keep you crocheting great projects! Can you give me some tips on selling my crochet? Whether you are planning on selling consignment, online, or craft fairs, it’s important to know your target market. A professional appearance on your website or in your booth will help get you noticed. Good branding helps people remember you and being active in social media can get your products to a large audience . Here is the first of a series of blog posts by KT and the Squid, and a Pinterest board by Stew-Art Creations that you may find helpful. I get confused when I read crochet in the front loop, back loop, or around the post. What does all that really mean anyway? I think this is a question we all have when we are learning to crochet – I know I did! Here is a handy visual by Oombawaka Design for you that I think will really help! I’m working on a pattern that tells me to crochet button holes. I’ve never done this before and would love some instructions. Crocheting buttonholes can seem daunting but it’s really very easy! Don’t over think it! You can create either vertical or horizontal button holes by using simple chains and the single crochet stitch! Be sure you measure the spacing and your button size. You can use stitch markers or yarn to help mark your placement so you know where your starting. I have a You-Tube video by New Stitch a Day and a blog post by Petals to Picots that can really help you. I need some help. Are there any standard measurements out there for a crochet hat? Yes, while nothing can take the place of a custom hat measurement, there are several excellent resources for standard hat sizes. The first that comes to mind is a tutorial on how to design or modify a hat pattern by Cre8tion Crochet. This is an excellent resource and guides you through the entire process. Another great option is the tutorial from My Merry Messy Life. In some patterns the instructions say chain 1 while others say chain 2 or 3. How do I know which one is really right? Time to use the chains, they are your friend. When beginning a row, or round,you will chain as the first step. The purpose is to elevate your yarn and hook a prescribed distance from the previous stitches. The number of chains will vary dependent on the height of stitch used in this next grouping. A fall back on guide is: ch 1 for single crochet (sc), ch 2 for half double crochet (hdc). ch 3 for double crochet (dc), ch 4 for the treble crochet (tc). The chains used inside a piece of crochet fabric is entirely different. Each chain normally is the width of a stitch. For example, by chaining 3, you have allowed a space of 3 stitches that are vacant (except for the chain). Do you have a question for Dear ELK Studio? If so, ask in the contact form provided below. Here is our first Dear ELK Studio crochet column! I’m so excited to have such a wonderful team of contributors to help me with this column. If you would like to learn more about them, read the Contributor’s page. Be sure to fill out the form at the end of the page to submit any crochet/business related question you may have too! Enjoy! I have lost my faith in the “gauge”. After making swatch after swatch to get the desired gauge, changing out yarn and hooks, (as well as pulling out a few hairs), and then making the item only for it to be the wrong size. By the way, this happened while making hats and slippers. Can you lead me back to the swatch path? I am so in tune with the gauge issue, it truly hurts. A fitted garment will not, if the person following the pattern is not able to make the right number of stitches fit in the prescribed space. 1) Start with the same yarn, and hook as the pattern writer. 2) Create your swatch at least 5 stitches wider than the gauge given. 4) Measure the center of the swatch, NEVER check from the edges. A beginning row, or turning chain will always be a more controlled stitch, almost certain to be different from the stitches you create when you are comfortably hooking along. When the measurements are obtained from the center of your work, it is true to how this hook, and this yarn are going to perform for you. If you have even a half stitch variance, your fitted garment will be off. too many stitches, try a larger hook, or a yarn just a bit thicker, not enough stitches, a smaller hook, or maybe the yarn is too coarse. It is also possible that your level of freshness can affect the way you work your project. Quality work requires that all the components be the best suited to the goal. If you are stressed or tired, your work will suffer. When I spend more than an hour on a project at a time my hands and arms get tired and sore. What are some of your favorite stretches or exercises for hookers? The exercises I do regularly for wrist fatigue and pain are the wrist extensor stretch and the wrist flexor stretch. I also do an overhead stretch – it seems to help release some the tension in my shoulders and ease my arm and wrist fatigue as well. Here is a blog post written by Kara from Petals to Picots that may help you too. What’s the best yarn to use in the summer? For garments, I like light weight, plant-based fibers, like DK-weight cotton and cotton blends. Cotton breathes and absorbs moisture. You might even be able to get away with a worsted weight cotton if you use a lacy stitch pattern. Other plant-based fibers include hemp (blends are softer than straight hemp), bamboo, and linen. What’s the best/easiest way to join granny squares? There are several ways to join Granny Squares. Below are 4 of the most popular and links to tutorials… Each method offers a different look and which ever method you choose… Your afghan will look great! Here are some links that may help you better understand the different methods. Join as you go, Fancy joins such as Flat Braid Method, Whip Stitch squares together, (My favorite method to join quickly and efficiently)~ Single Crochet Join.